I’ve seen Dreams, and it is beautiful. Imagine for a moment the ability to sculpt and create anything in a 3D space with minimal amounts of programming. Bypass the ways that technical barricades tend to get in the way of creative freedom. Think about having an idea, for a scene, a character, or a story, and being able to realize that dream. Dreams are what Dreams is made of, and what Dreams will make. LittleBigPlanet offered a specific set of tools, and creators have done more with those tools than anyone thought possible. Shared LBP imaginings of games, movies and music are just the tip of the iceberg, with millions of original creations making their way online, and many more probably still stowed on hard drives. 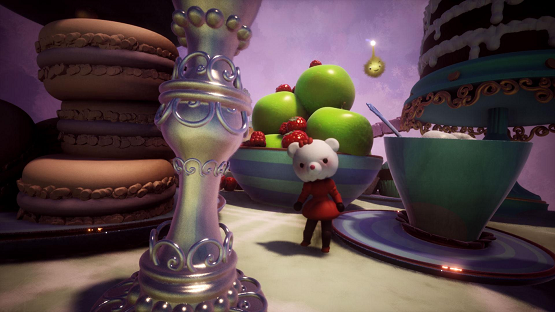 Media Molecule encouraged unique use of their tools and even used those ideas to give creators more tools. They’ve taken it further with Dreams. They aren’t developing tools. Media Molecule is developing freedom. I was lucky enough to be able to make my way into the media lounge at PlayStation Experience to watch one of the developers weave what can only be described as creative magic. Her hands were like a dance, her face filled with purpose and emotion as she crafted a character from the core bipedal rig. It was beautiful to watch, both what was happening on the screen and the deft ease with which the sculptor analyzed her creation and made subtle changes. In a matter of minutes something originally resembling those wood figures artists use, became a silly looking skeleton character, complete with low-sitting glasses and a fashionable scarf. 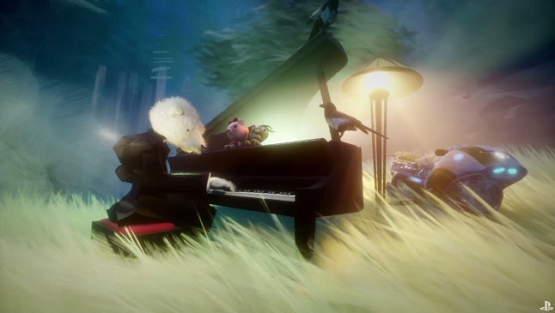 I’m imagining that the learning curve won’t initially be that easy for new creators to appear to sculpt with ease, but Media Molecule is seeking to make it possible to let your imagination freely create. The toolset is intuitive and the layout is designed to feel like creators are working in a physical, three-dimensional space. In a preview on our sister-site, Game Revolution’s Blake Peterson pointed out that the way the tool interface is laid out isn’t too different from a painter’s pallet and brush. Bob Ross would be proud. Now we can make happy little trees in 3D. Being able to follow other users’ curated works — similar to a Pinterest board — will open up a hugely social creative library. Creators will be able to collaborate, use and modify others’ creations, and share their work for others to use. Perhaps you are amazing at environments but can’t create a character to save your life? Jump online and grab someone’s characters to populate your world. The content library is sure to grow rapidly as creative minds get their hands on Dreams. We haven’t even talked about the animation tools, the ability to make things interactive for gameplay, the voice acting capabilities, and the music creation tools in the game. Wait… “game” doesn’t feel like the right word for this, but as unprecedented as Dreams is, there is hardly a word to accurately describe it other than “a blank canvas with complete freedom for the creative mind.” And that’s ten words. Back during Paris Games Week, Media Molecule and Sony confirmed that Dreams would have compatibility with PlayStation VR. You may have missed that particular announcement. I know that I did. Upon learning the news at PSX, my mind began racing madly with the possibilities. One more level of immersion and depth. One more tool to use. One more step towards complete creative freedom. Whether used during creation or program execution, Dreams alone would be reason enough to buy a PlayStation VR, even if nothing else ever came out for it. I didn’t get to see the VR Dreams in action, but I was assured that they are exploring a broad range of possibilities with the headset. I didn’t want to leave. I had so much else to see at PlayStation Experience, but I could have spent the entire two days mesmerized by Dreams. In fact, given enough time and creative energy, everything at PlayStation Experience could probably be largely recreated using Dreams, and that’s hardly an exaggeration. Did I mention that creations can be exported? I probably should mention that point. They had a few 3D printed models of creations made in Dreams. I was holding a physical statue, something sculpted on the PS4. I was in awe, truly joyous at everything I had just seen. “Do you think that Dreams will change the future of creativity and game creation as we know it?” I asked Media Molecule’s Alex Evans before hesitantly turning to leave PlayStation Experience’s media lounge.